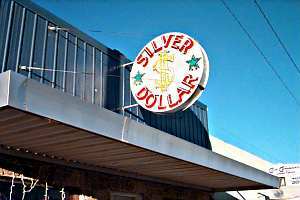 They don't make silver dollars anymore, nor probably signs such as this which we found down in Fairfield. I didn't have time to venture inside, but as I recall, the owner has a world-class collection of cigarette lighters on display. So why don't they rename it "The Zippo"?